Want to become a Mad Man? 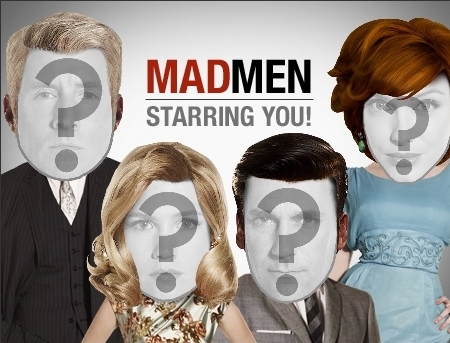 With the premier of Mad Men just days away, of course you do! Head over to Jib Jab where you can upload a photo (yawn), place it atop one of the actor's heads (yawn) and send it to your friends (yawn). We might not have been so bored with this were it not accompanied by frothy hype such as, "This is an exceptionally clever way to get you to amuse your friends AND announce a new season of TV's MadMen. Brilliant. Worthy of a mention on Adrants, at least!"